Our video this week features a car you rarely see anymore, especially in the US, the Hillman Imp. 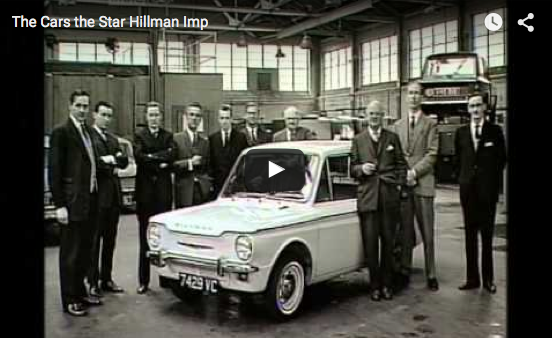 The video takes a look at the production of the Hillman Imp at the plant in Linwood, Renfrewshire, Scotland. The program includes interviews with past members of the Linwood workforce. It also examines the wider workforce, trade union, management and government relationships which existed throughout much of UK manufacturing in the 1960’s and 70’s. The Hillman Imp was a small economy car made by the Rootes Group and its successor Chrysler Europe from 1963 until 1976. 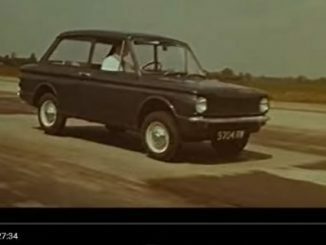 It was made in many different forms and in addition to the Hillman marque was also marketed as both Sunbeam and Singer. Unveiled in 1963 after much advance publicity, it was the first British mass-produced car with the engine block and cylinder head cast in aluminum.